We are th fastest growing tourism entertainment Company which has over 20 Years experience. We cooperate with hotels and resorts in Europe and Asia. At the moment we are in search for new tourist entertainers and everyone who wants to become one! We offer seasonal - summer or whole Year contracts on the most beautifull destinations in Crioatia, Montenegro, Greece and SE Asia! If You have experience or knowledge in working with children, sports, fitness, dance, performance or tourism industry contact us! 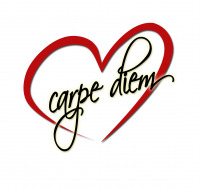 All applications at job@carpe-diem.hr! Tourist entertainer is a person who organizes and performs daily and evening activities for hotel guests. This includes Mini club for children, sport tournaments, fitness and workout exercises in pool and on dry, as well as different dance cources, creative workshops and modern teens programs. We provide education, accomodation with full board (3 meals a day) and salary. For work in far destinations we also organize and cover all travel costs. If You are a young, charismatic person who wants to build career in tourism contact us! Znajomošć jezyka angielskiego, skonczona szkola srednia. Punkty dodatkowe - jezyki obce, doswiadczenie w fitnesie, pedagogii, tancu, kompetencje miekkie. After interview we will contact all candidates who were accepted and organize education. On destination of work we cover accomodation with full board (3 meals a day) and salary. Depending on destination and Your possibilities and skills You can work for 2-6 month, or whole Year. For work in far destinations we also organize and cover all travel costs. If You are a young, charismatic person who wants to build career in tourism contact us! Wyrażam zgodę na przetwarzanie powyższego adresu mailowego przez INTERDANET Łukasz Kuncewicz z siedzibą w Łodzi ul. Gdańska 54, 90-612 wpisaną do ewidencji działalności gospodarczej przez Urząd Miasta Łodzi pod numerem 47724, NIP 727-23- 47-158, REGON: 473250880 na potrzeby obecnych oraz przyszłych rekrutacji oraz na przesłanie niniejszych danych, a w szczególności adresu mailowego oraz załączonego CV do Pracodawcy LOVE CARPE DIEM D.O.O.. Jednocześnie oświadczam, że zapoznałam/em się z treścią Polityki Prywatności i Regulaminu.